Felt Smackdown, 4 felts will go in only one can emerge victorious! 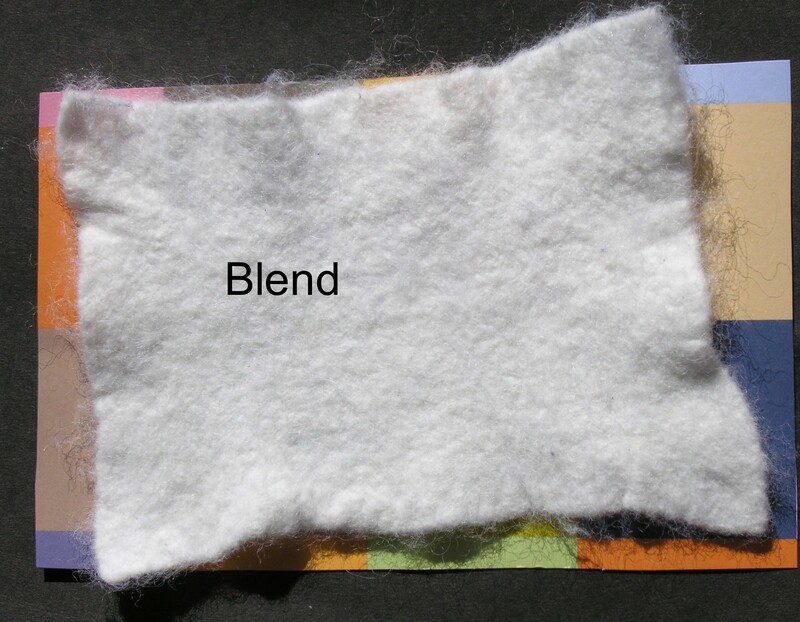 The number one question I am asked is, what is the difference between types of felt although I go into this in detail on the Posts Whats the diffrence 1 wool , 2 Acrylic and eco-spun & 3 wool felt blends, sometimes you just need a basic visual reference. 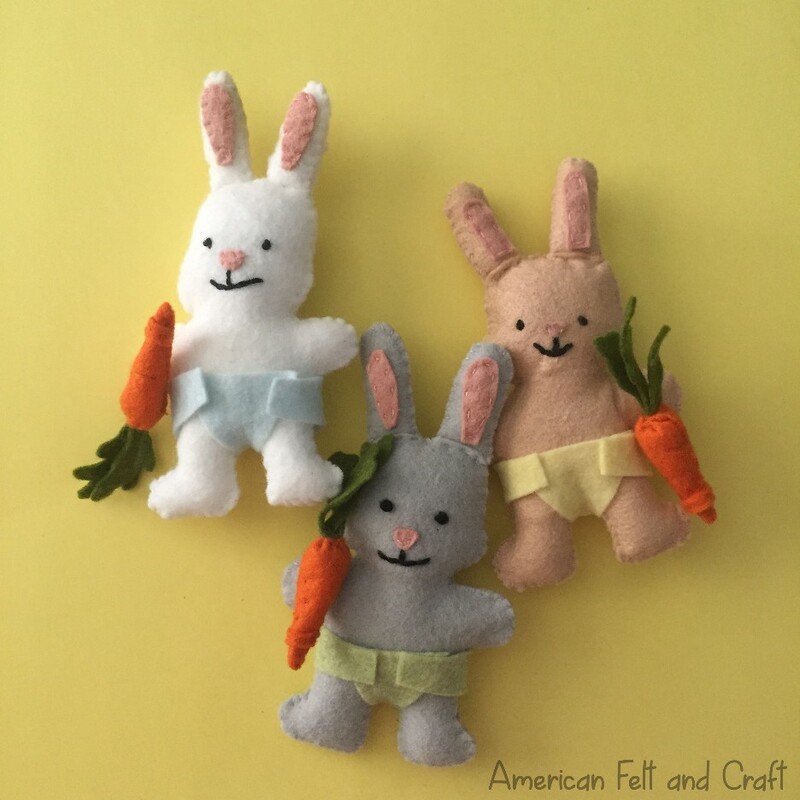 With that I proudly present the moment you’ve waited 3 posts for… the Felt Smack-down a grudge match in which 4 felts will be tested but who will come out on top? Insert theme from Rocky here…. These felts will be put through the 6 tests and a winner will be declared after each round. But first the details; Each felt square will be cut into a 5×7 squares, both the wool and wool blend are from American Felt and Craft and the acrylic and eco-spun (now called eco-fi) are from my local craft store. OK well this one is tough since it’s largely dependant on what your looking for personally I love the bouncy loft of the 100% wool but you can declare your own winner…. 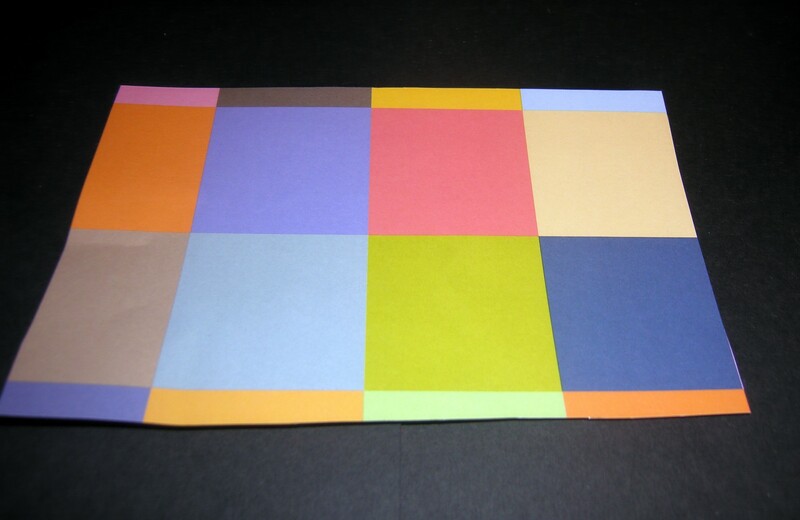 This is a very basic challenge each felt will be placed on the above scrap booking paper to see the level of transparency. 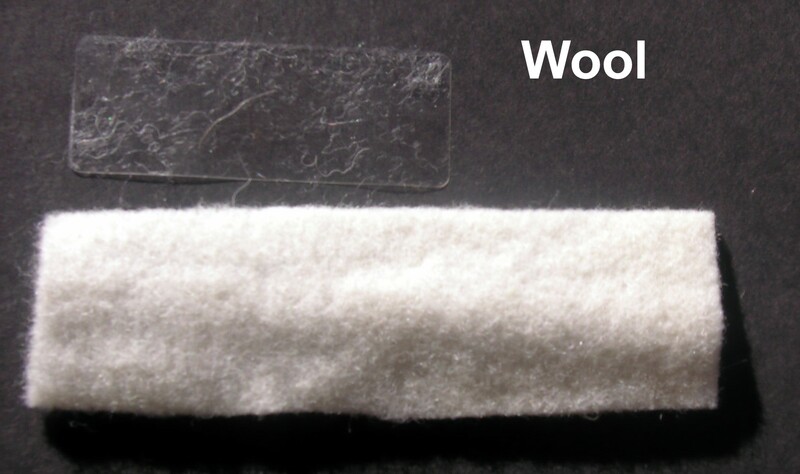 Winner: Wool Blend with 100% Wool in a close second. Each of the felts were cut into smaller strips and machine sewn together (wool to wool and so on) with red thread, I gave them 1 good tug and here are the results. When I placed the sewn pieces down I noticed that the act of yanking them distorted some more than others so I thought I’d show you that too. Winner: Tie Wool’s loft almost completely hides the stitches but blend holds a nicer looking seam and wasn’t easily pulled out of shape as much as wool. 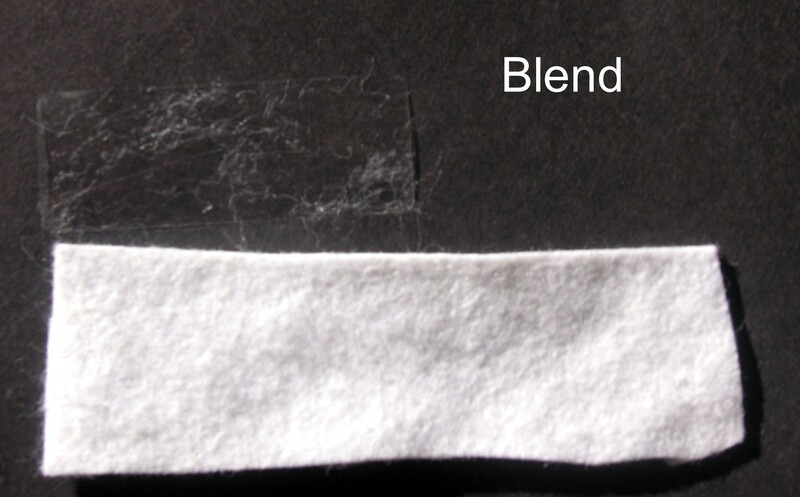 I also wanted to see how much fuzz was produced with normal usages, I am nothing if not though, so I cut apart my stitched felt (which is why the sample pieces are a bit wonky) and placed a clear return address sticker onto each piece of felt smoothed it down and removed it VIOLA! Winner: Blend Second Place: Wool Voted most likely a waste of money: Acrylic, seriously it almost has a hole in it at this point! For this test I threw my 5×7 inch sheets from challenges 1 & 2 into the washer with a few pairs of jeans for agitation and washed them on warm, which here in Arizona means scalding hot, basically the worst conditions for felt. Challenge #6 The moment you’ve all be waiting for…FIRE! For this challenge I took a small swatch of each felt equal in size and lit them on fire waited 10 seconds and took a picture of what was left, in some cases the flame just kind of died out on it’s own but only the acrylic had to be put out before 10 seconds. All tests were conducted outdoors in a well ventilated area, don’t try this at home. As silly as this test seems it’s actually a serious matter. 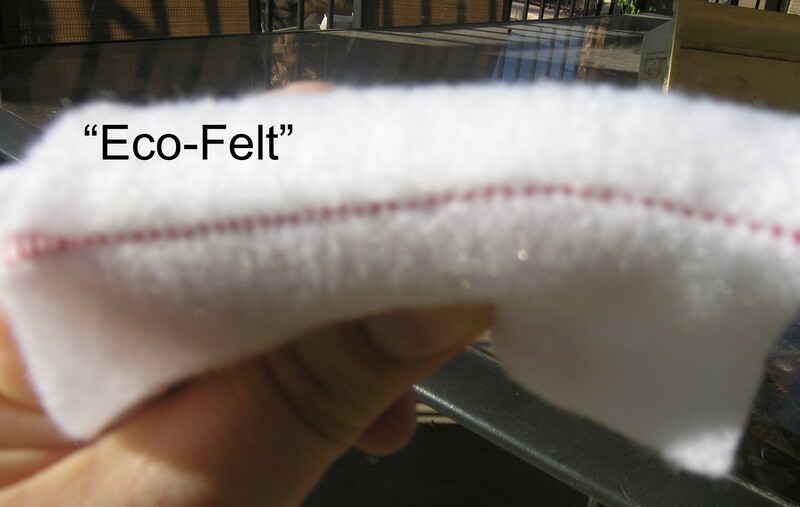 If you intend to attach your felt to clothing or make toys that a child might sleep with melting plastics can cause serious burns. Because fire can be extinguished but melted plastic actually sticks to and continues to burn into the skin, melted plastics are far more dangerous in a fire. The Acrylic did not self extinguish and created a thick black smoke as it melted, giving off drips of plastic. It burned surprisingly rapidly and frankly between the smoke and the quick burning I got a little nervous and blew it out, so this is it after about 5 seconds. It left behind hard plastic globules (I have always wanted to use that word). 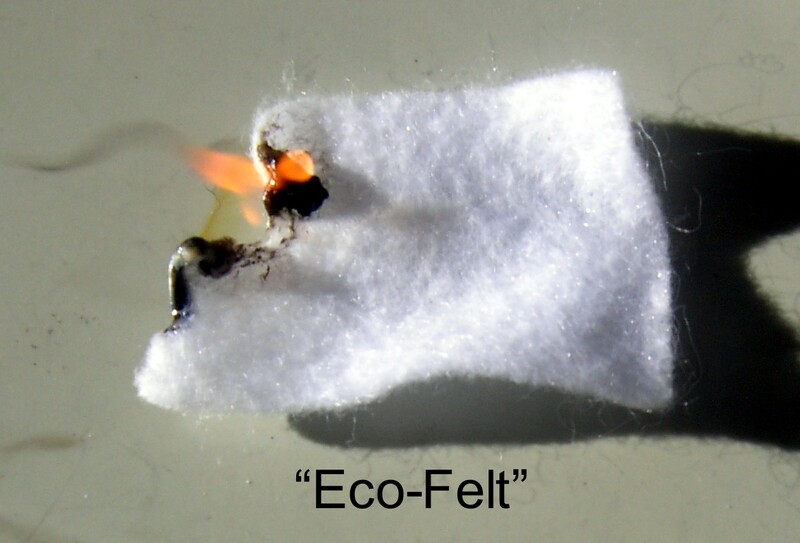 The Eco-felt was a little bit of a slower starter which was surprising considering it’s composition is identical to acrylic I can only assume it was treated with some kind of chemical however once it was ignited it melted very rapidly and created the same signature black smoke. Burnt areas once cool enough to touch (about a full minute after burning) were hard solid plastic masses. The blend felt did not create any real smoke to speak of and self extinguished almost immediately in fact the only time it seemed to want to burn is when direct flame as applied. The burnt areas created a soft grey ash which when touched fell into dust. As odd as it sounds I couldn’t actually get the wool to burn at all. 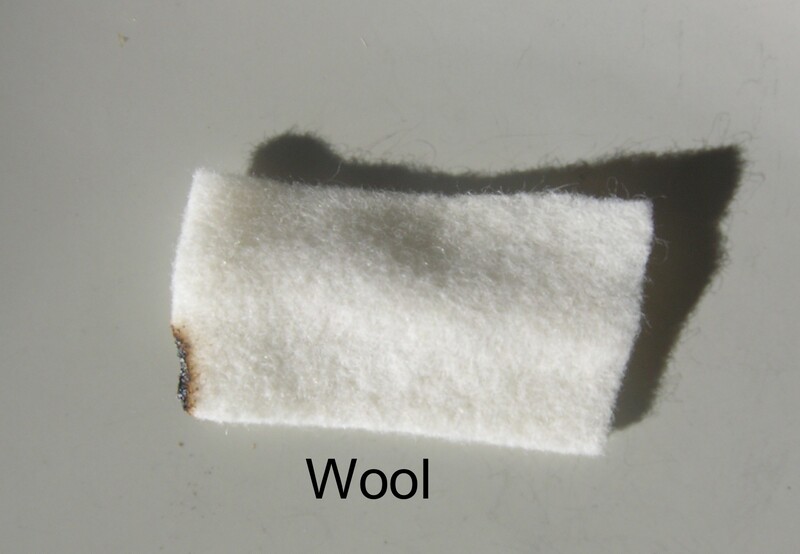 I held the lighter to the wool the entire time and this was all I was able to accomplish, there was no smoke although there was a faint smell of burning hair although nothing like the smell of human hair and what I did manage to burn created a soft ash which fell to dust on contact. Well there it is, I welcome your questions, comments, or suggestions. 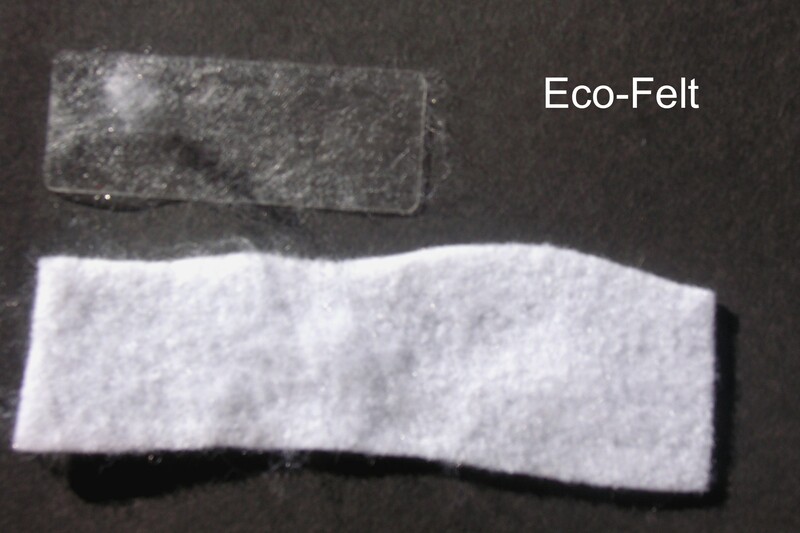 Acrylic felt & eco- felt (I.E eco spun) same damn thing! 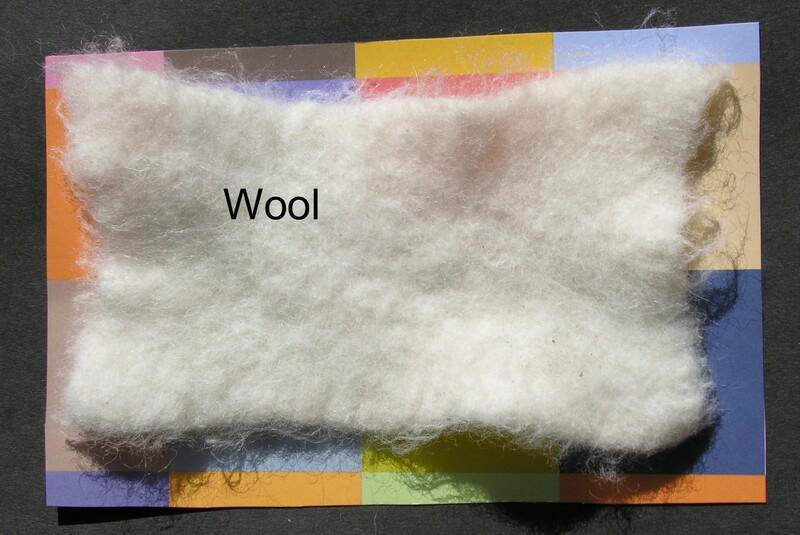 Part 2 of whats the difference between wool, acrylic, wool blend, and eco felt? Part 2 of whats the diffrence ? 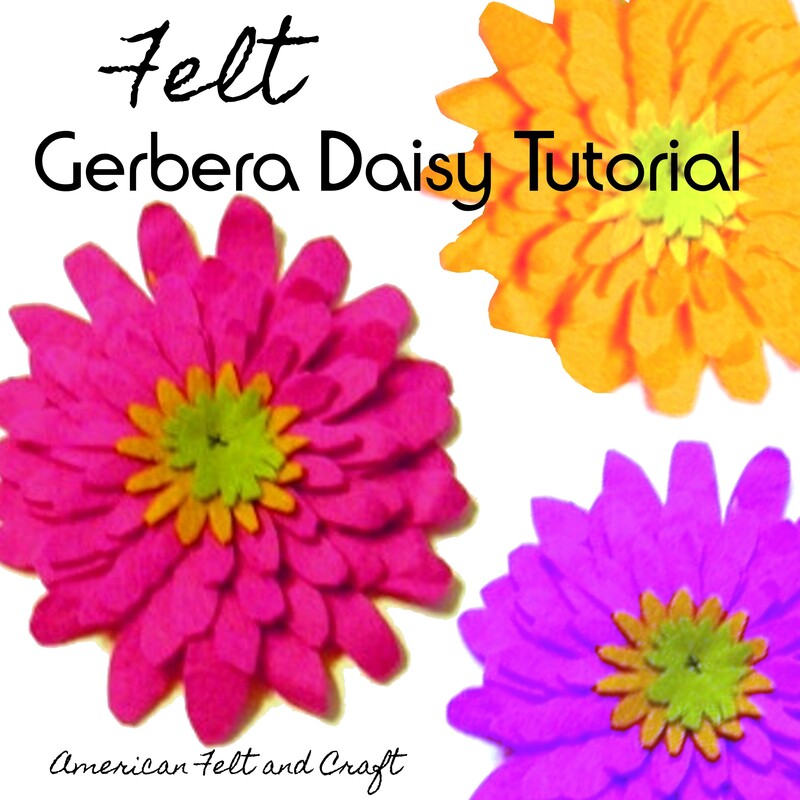 Everything you ever wanted to know about felt, and probably a bunch of stuff you didn’t. 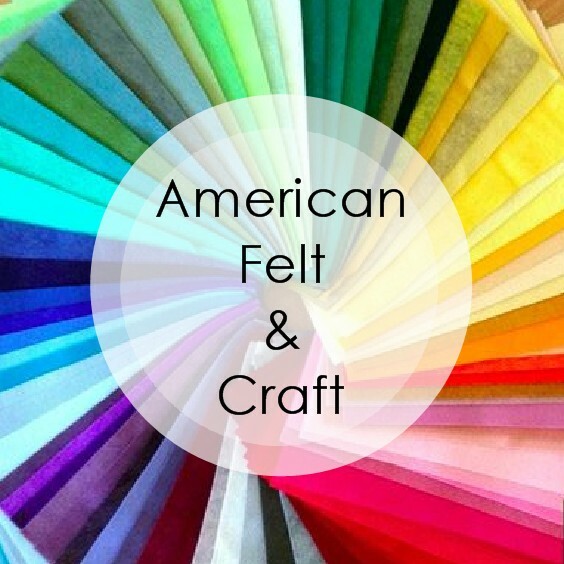 In this post we’ll look at Acrylic/ Eco-felt, please see my other post on wool felt and blended felt, or for a more simplistic match up check out Felt Smackdown. But if your the kind of person who likes to read the back of a can of peas read on…just kidding it’s really not that bad. Acrylic felt is made by interlocking acrylic or acrylonitrile which is made from natural gas and petroleum, ie a type of plastic. 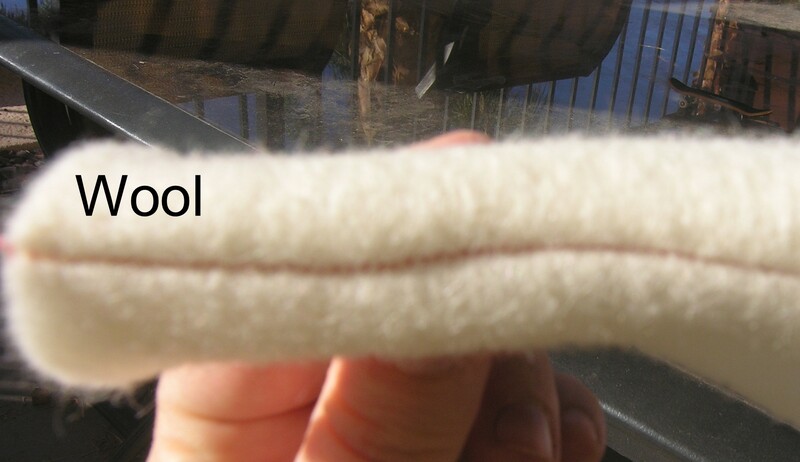 These fibers are then interlaced to create a felt. 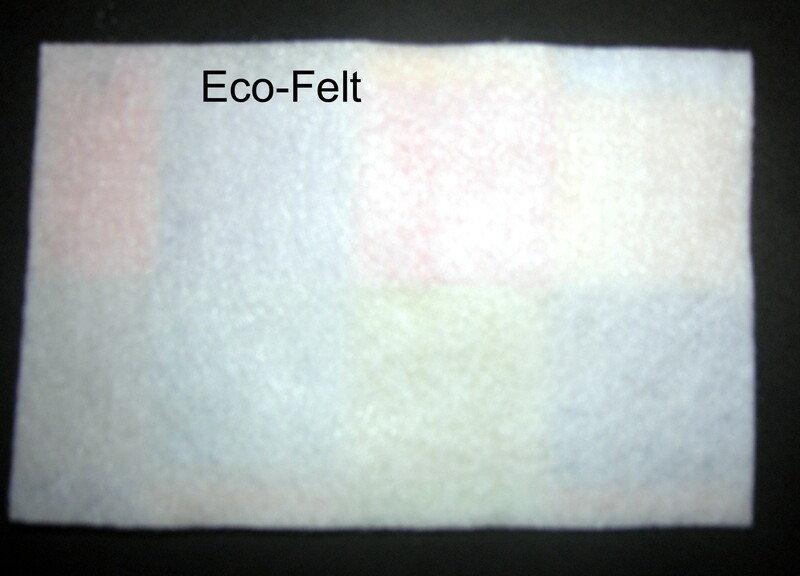 Eco -felts are identical in every way to acrylic felt and are created in the same way but instead of being made from plastic pellets it is made from recycled plastic bottles. Yep that’s the only difference! 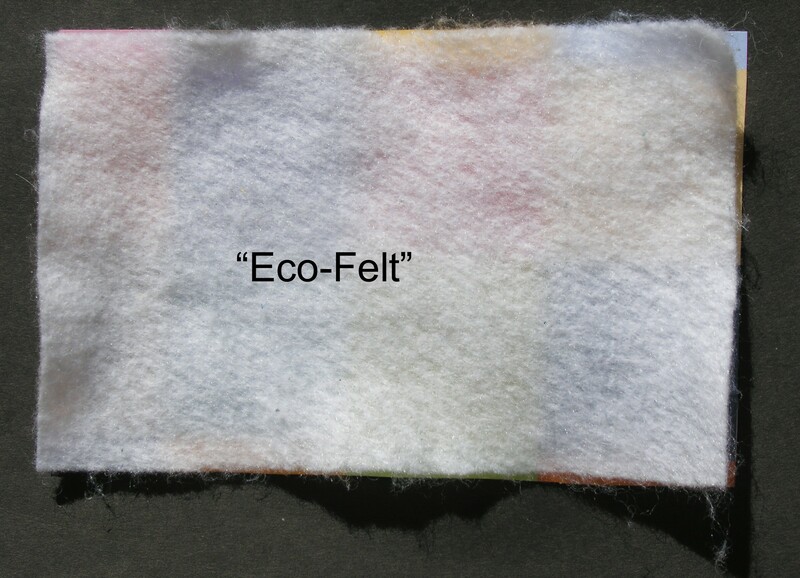 So from here on out when I refer to acrylic felt I am also referring to eco-felt. Here is where acrylic both shines and falls short. Acrylic is very easy to care for, since it’s made of plastic it is stain resistant as long as it isn’t an oil based stain, like lipstick or gasoline, of course if you have stained your acrylic felt with lipstick and gasoline something tells me you have bigger problems. 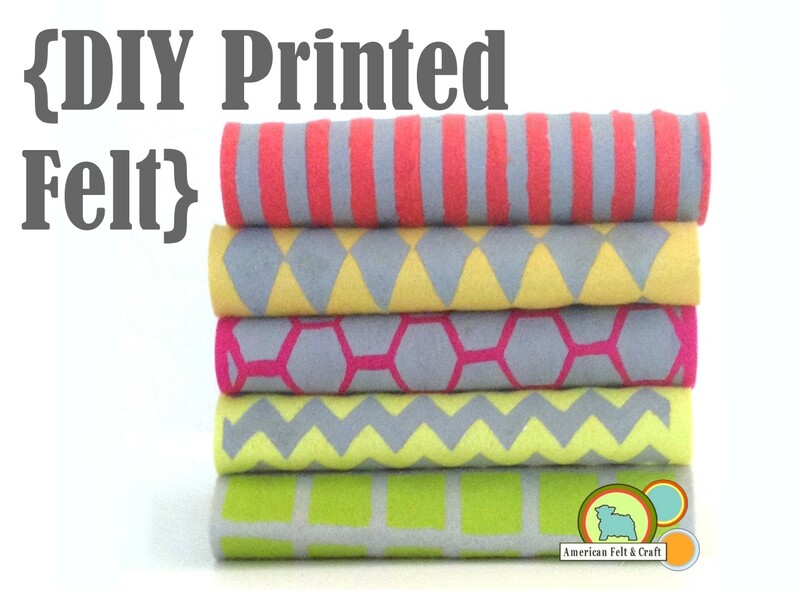 Because they are plastic acrylic felts wash very nicely and won’t shrink. 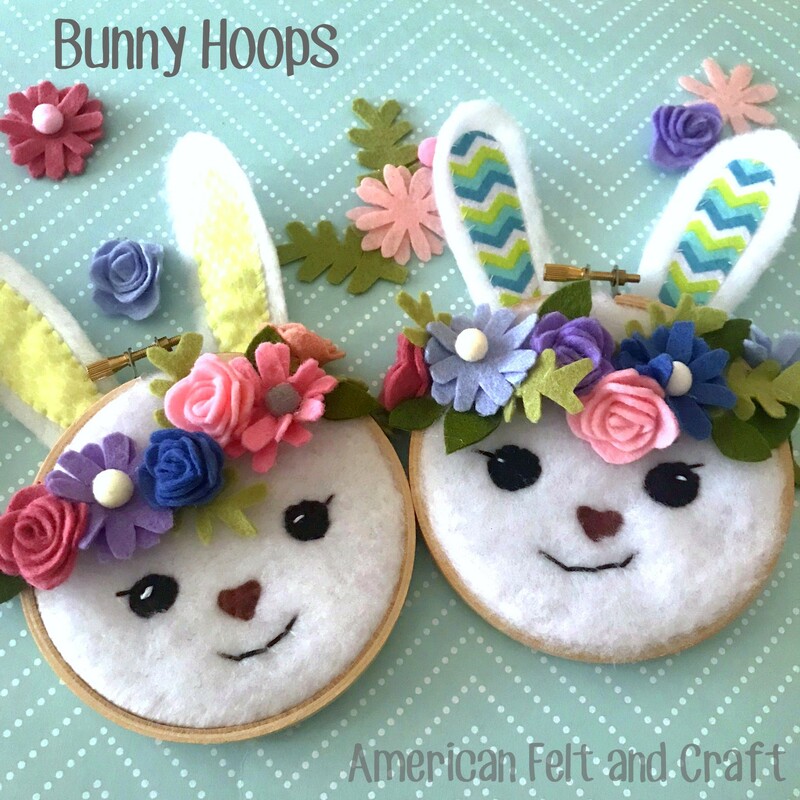 I have heard that the nicer acrylic felts can look very similar to wool felts. Although in my experience these nicer felts are a myth, and frankly just like spiders I have never seen an acrylic felt I like! 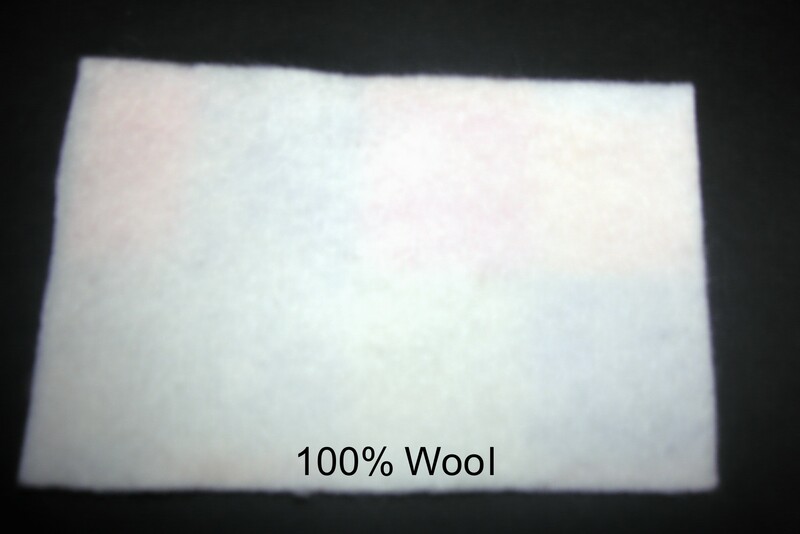 These felts will not take any dyes or bleach, the colors will not fade with normal usage since it is the plastic fibers themselves which hold the color. 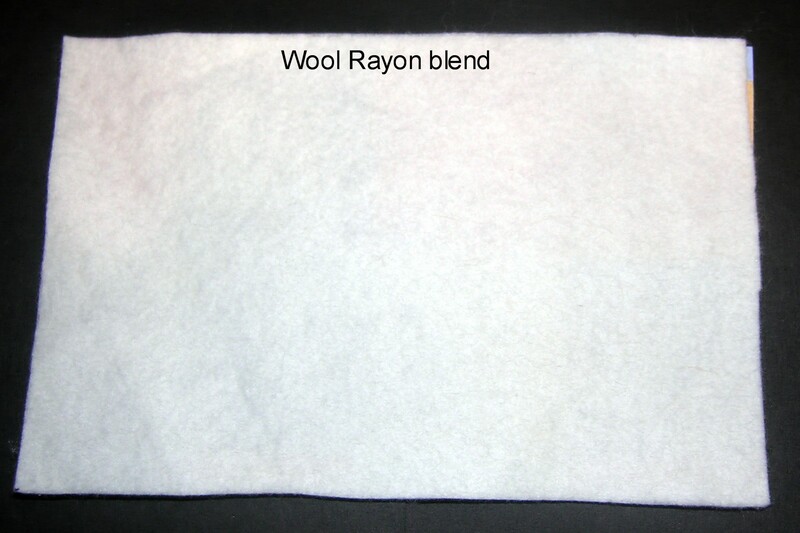 However acrylic is not suitable for craft projects or pieces which will be handled often because it will pill and fuzz. 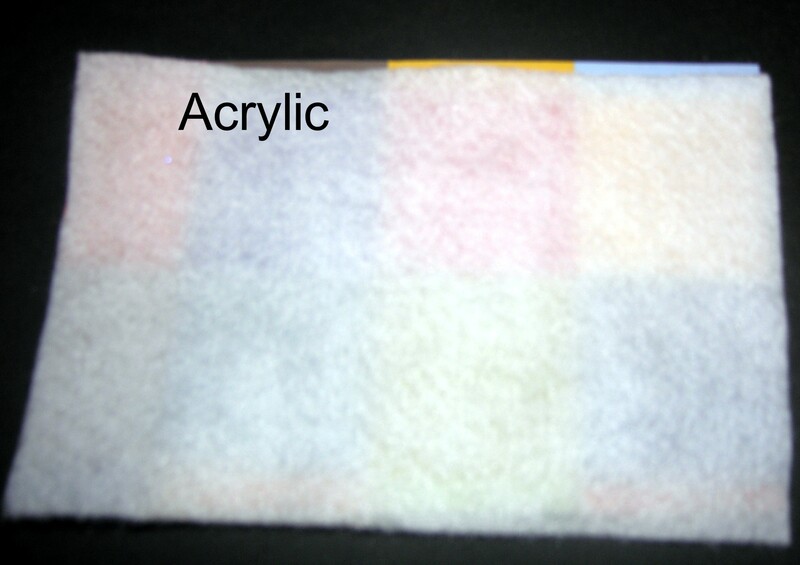 Acrylic also tends to stiffer and more see though than some other felts and therefore may not layer well. Some people find this felt itchy to the touch furthermore its weaker nature may result in seams which are easily prone to tearing. On the upside it’s incredibly affordable (read cheap) and will last practically forever well… unless you intend to touch it. 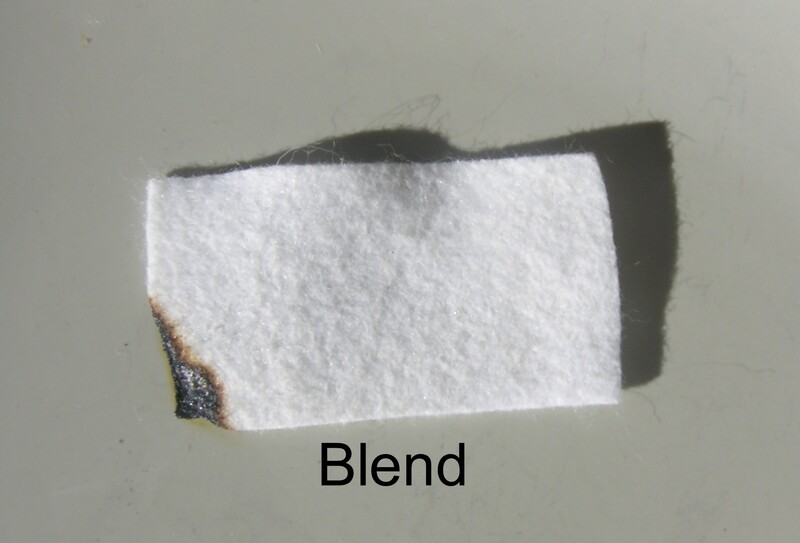 Due to the fiber content and the lofty, air filled pockets acrylic felts burn readily. When exposed to flame acrylics will ignite almost instantly and burn or more specifically, melt rapidly which is why they must be chemically treated if used in children’s Pjs. Acrylic does not take even a moderate amount of heat before burning and melting. A good argument for not crafting with these felts in the Saharan desert with a magnifying glass or while attempting to break the world record for most cigarettes smoked before vomiting. When assessing enviormental impact you have to ask not only where did it come from before but what will happen to it after. Even if you intend to keep your pieces forever the scraps still have to go someplace. While acrylics are very durable, like all plastics are they degrade very slowly and acrylic felt is comparable to all plastics in its impact on the environment since the manufacturing of plastics often creates large quantities of chemical pollutants. Bummer I know. 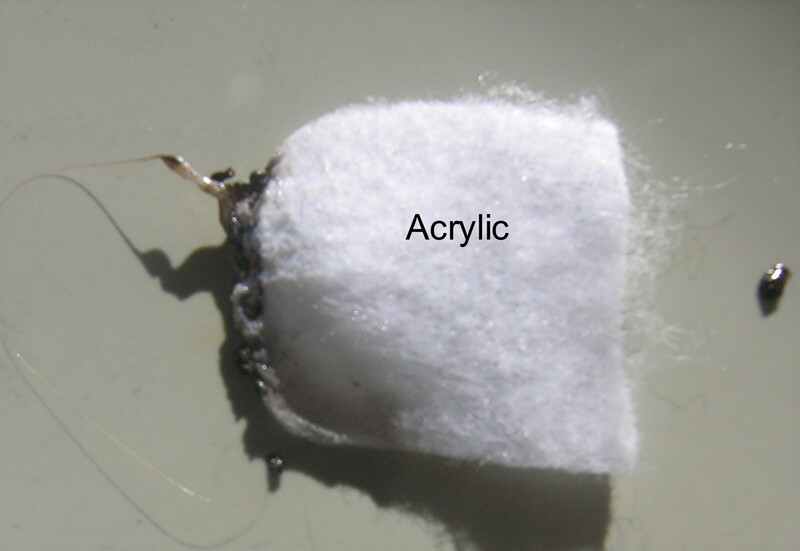 Acrylic is technically recyclable but only if available in your area and that is if you’re willing to disassemble your pieces and scraps from other fibers and those in charge of your recycling program don’t mistake your felt for fabric, so basically the recycling thing is more of a theory. Don’t get me wrong I totally think we should recycle this plastic but I think they should be made into something more useful and long lasting than most people’s craft project, and the idea that this is somehow better for the enviroment than sheeps wool is far from truthful. Acrylic can be glued and sewn, and melted … although this is not a crafting technique I have ever heard of. 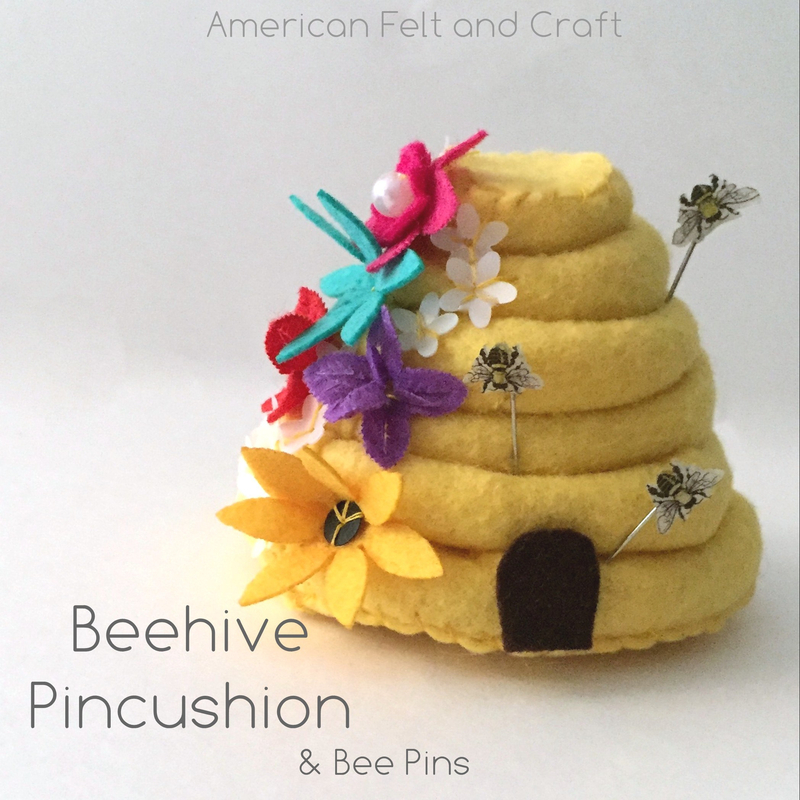 You cannot needle felt* or wet felt with acrylic. 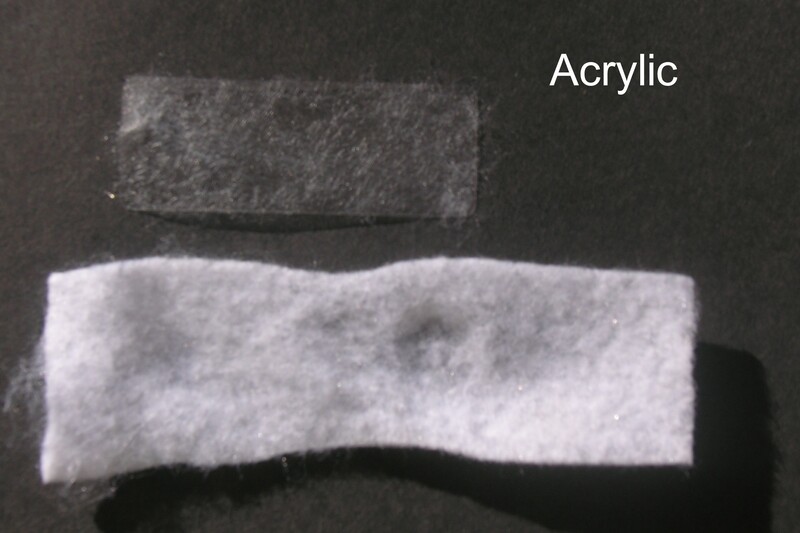 Many people avoid acrylics/ eco-spun because they are made of plastic. They are not dye able and are often see through. They will fuzz and pill easily. When used in wearable’s they are often referred to as itchy and irritating because they do not “breathe” allowing for air flow and the plastic itself can irritate skin, well that and they are often see through and shiny when exposed to light which could also be very irritating! In synopsis; unless you are looking for something shiny, itchy and see through…you know… thats not lace, I would not recommend doing any “keeper” projects with acrylic also acrylic is not the most environmentally friendly option, yes even the eco-stuff but you know if you hate the planet be my guest…I am kidding of course.